Washington has refused to receive a Russian military delegation, headed by Prime Minister Dmitry Medvedev, to discuss coordinated action on the fight against terrorism in Syria, Foreign Minister Sergey Lavrov has said. “We have proposed to Americans what President Vladimir Putin informed the public about yesterday, namely, to send a delegation of military experts to Moscow to agree on a whole number of joint steps, afterwards we would be ready to send a high delegation led by Prime Minister Medvedev to Washington,” Lavrov told the Russian Parliament on Thursday. "Today we were told that they will not be able to send a delegation to Moscow. At the same time, they are unable to receive our delegation in Washington," he added. Posted by RT Play on 10 октября 2015 г. "We invited our other partners to take part in activities of the information center so that everyone could see the full picture, so that everyone is on the same page to avoid any misunderstanding. The response was unconstructive. They said why in Iraq? It is not safe there. We explained that according to our estimates, this center can operate in quite favorable conditions. But if there is a wish to coordinate actions in some other place, we are ready for this," Lavrov said. "The agreement on the military-technical measures to prevent incidents in the air, which has been practically achieved, will start working from day to day, I hope. 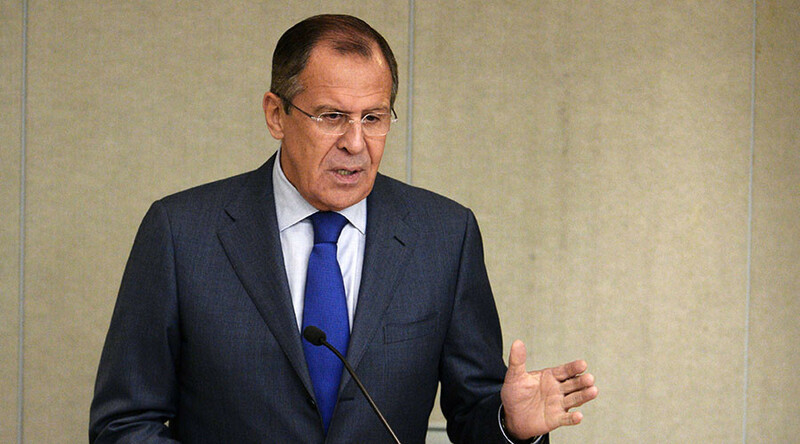 Today the finishing touches will be given to coordinate all of its points,” Lavrov told the State Duma. “We should all start with showing our cards, both in direct and indirect sense,” the minister stressed. Then our actions would speak louder than words, calling on the fight against terrorism. I don't see any reason why we shouldn't sit down and discuss [these] things.